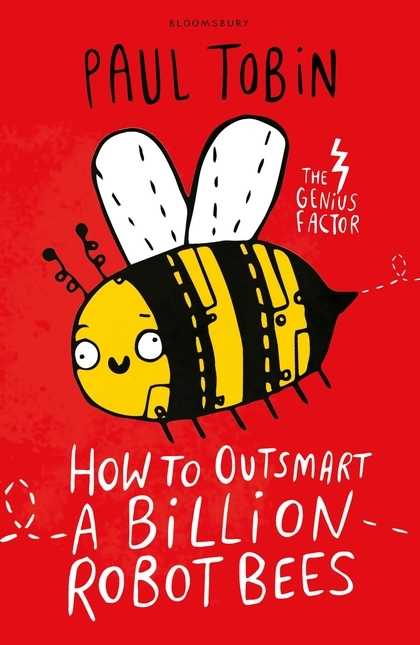 Today in the United Kingdom and Ireland, the UK edition of How To Outsmart A Billion Robot Bees is making its debut from Bloomsbury! The UK edition is paperback, with delightful spot illustrations by the brilliant designer Katie Abey! The hardcover US edition was released Tuesday, along with the US paperback edition of Genius Factor Book One: How To Capture An Invisible Cat.